Reading is such a special activity in our house and Caterpillar adores books, much to the joy of the reader and writer inside of me. 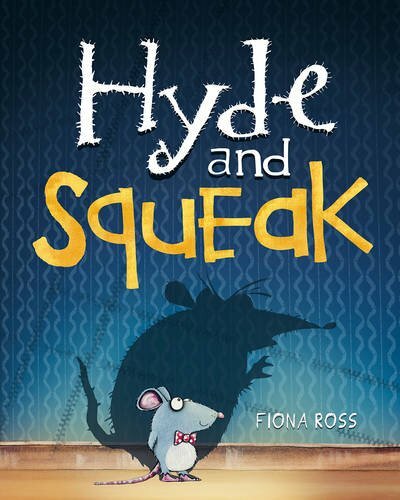 One of my favourite things to do is theme our bedtime stories to the time of year and when I was asked to take part in the blog tour for new release picturebook Hyde & Squeak by Fiona Ross I leapt at the chance. As an added bonus, Fiona agreed to be interviewed too! There’s something really magical about choosing a story that fits with the season and it helps to teach children about times of year and special occasions. Fiona’s child-friendly take on the classic Jekyll & Hyde story is creative, creepy and all kinds of fun. 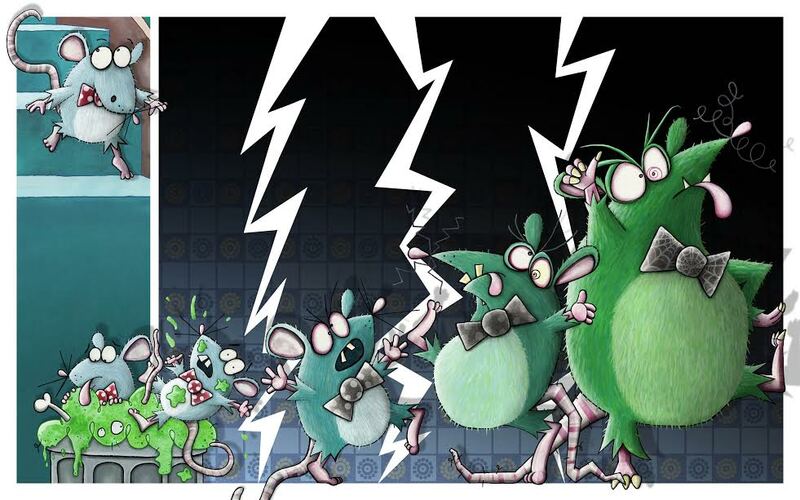 Hyde & Squeak is the tale of Granny and her adorable, bow-tie wearing, competition-obsessed mouse, Squeak. Squeak’s unusual prize on this particular day is a stinky jelly that he finds himself inexplicably drawn to late at night and can’t resist a taste. Unfortunately, just a little nibble causes the innocent Squeak to transform into Hyde – “a massive, messy monster mouse” – who eats absolutely everything in sight before eventually transforming back into our sweet protagonist with no memory of his late night adventures. 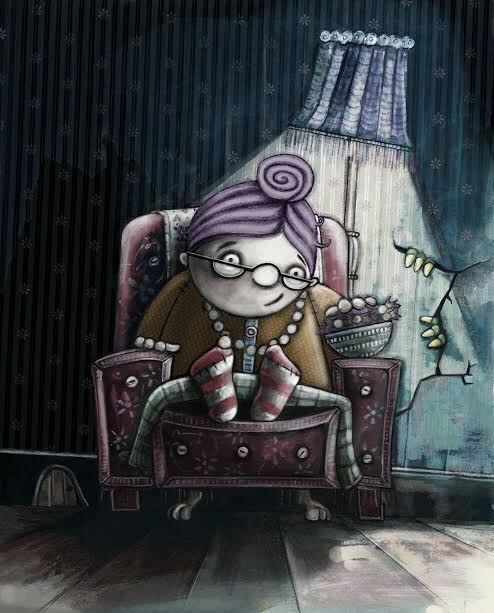 With every passing day, and every mysterious new package of unpleasant jelly, Squeak’s terrible transformation continues and Hyde’s appetite grows to dark and dangerous proportions, forcing unsuspecting Granny to take drastic measures. This story, with it’s colourful, comical illustrations, is so much fun. It’s fast-paced from start to finish and Caterpillar particularly enjoyed all the “parping” and “poofing.” Perfect for feeding your child’s imagination and with just the right amount of edginess without being too scary for preschoolers. My monster-loving son was enthralled. So what does the author have to say about what inspires her? What made you want to become a children’ s writer & illustrator? From as long as I can remember I’ve loved drawing, as well as reading books and comics. Growing up we always had paper close by, whether this was in a pad or on the back of wallpaper that my brother and I pulled out to do draw very long cartoons! So naturally for me, what could be better than spending your days doing this full time. At first I only wanted to illustrate, as that’s where I felt my strengths were so the writing happened sort of accidently. I had a meeting with the lovely Walker Books as an illustrator and we discussed some of my story ideas. They along with my agent told me to give writing a go, now I can’t image doing anything else as I feel very fortunate to be able illustrate my own ideas, although I’d still love to illustrate someone else’s too. Which other authors & illustrators do you admire? One of my all time favourite author/illustrator is Raymond Briggs. I love the energy and detail in his artwork, he fills every page with delights. His work is a combination of picture book and comic book, which really appeals. I like to see speech bubbles in a story, to me you get more insight into a character, you hear their voice and understand their tone more clearly. You always discover something new every time you open one of Briggs’s books, I love mulling over the small details in the each frame. Another author/illustrator I admire is Tony Ross, his outrageous humour certainly hits the spot, and I can’t help but splutter when I read his words and peek at his brilliantly, hilarious illustrations! I love his teaming with another favourite, the author Jeanne Willis, they’re the perfect combination. Heath Robinson’s illustrations and cartoons have always been a huge inspiration to me, I like to decipher how his wonderfully bonkers contraptions work! I was extremely lucky to work with an enthusiastic team at Little Tiger Press who all had a great sense of humour (Barry, Jude and Dana). They asked me to come up with an idea for a ‘gothic’ picture book and highlighted one of my earlier illustrations as an example. I went away and considered what ‘gothic’ meant to me – it was about evoking a dark, haunting atmosphere in a world where you’d find peculiar personalities. The challenge was to find a way to do this without being too scary, as after all it was a children’s picture book we were making. What better excuse to immerse myself in stories by Edgar Allan Poe, Bram Stoker, Robert Louis Stevenson along with loads of fairy tales. I watched some of my favourite movies too, Night of the Demon (1957), La Belle et Le Bete (1946), Cat People (1942), and Nosferatu (1922) – I could go on and on here as I love this stuff! Anyhow, I ended up had a very long list of potential stories which I went over with the Little Tiger team, from this it was decided Hyde and Squeak was the preferred choice. Everyone knows the basic storyline of The Strange Case of Dr Jekyll and Mr Hyde by Robert Louis Stevenson, and it was agreed you could take these aspects of the story – swallowing a substance that leads to the major transformation of the main character. It was important to make Hyde silly and not become overly frightening. When he’s unleashed his motives should be on deliberately daft and over the top, similar to a pantomime villain I suppose. What advice or tips would you give other aspiring children’s writers on how to get started? For me, one of the most important aspects is to jot down any ideas no matter how trivial or silly they seem. It’s amazing how easy it is to forget that brilliant idea you had the other day. This is also useful to refer to at a later date, I have piles of old notepads bursting with ideas and doodles which I still refer to. Make scribbles too, and I mean scribbles, and try and keep it simple! Just get your idea or character on paper in any form – words, sketches, models, you could also make a mock up book to see how your story flows. Visit your local bookshop and library, immerse yourself in stories and read lots. And if you’re still enthusiastic about writing you’ll find your own way to tell your own story. And lastly, try not to be too precious with your ideas, your initial story can and probably will change for the better. Listen to feedback and don’t be afraid of making mistakes. Just have fun! You can find out more about Fiona’s work on her blog & by following her on Twitter. I want to say a huge thank you to Fiona and Little Tiger Press for asking for my involvement, and if you’d like to get your hands on a copy of the awesome Hyde & Squeak visit www.littletiger.co.uk. To continue the fun check out the fab Hyde & Squeak activities below and please visit the other bloggers taking part in this tour. Happy Halloween reading! More fab stops on the blog tour! 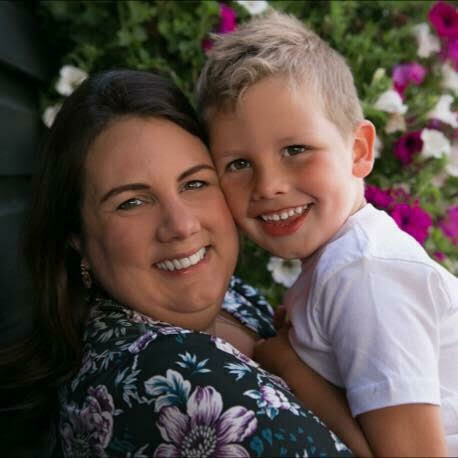 We love Hyde and Squeak and it was really interesting to read your interview with Fiona. Fiona also joined us on Story Snug last week to talk about her favourite scary books. I would definitely recommend this book as a great Halloween read. Rhyming with Wine recently posted…How Do I Answer the Hardest Question of All? Great interview. I’m going to try the activities with my grandson. Thanks for a great stop on the book tour.